These monthly box delivery things are super ~in~ apparently. I always see new ones pop up on my Facebook feed. Today I saw a really expensive one that sends you coffee monthly. One of my Tumblr followers had extra invite codes for Graze so I decided to try it out. 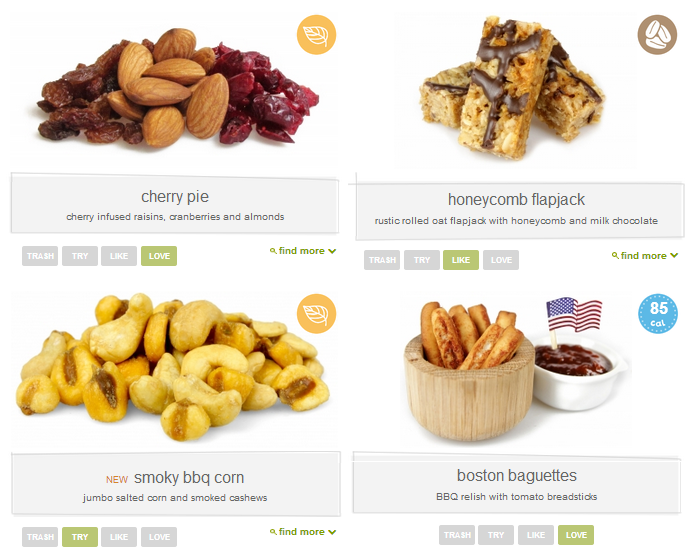 Graze sends a box of 4 different snacks to you for $6 (including shipping) however often you choose. I thought it would be a good thing to bring to work and keep in my desk for when I am hungry. 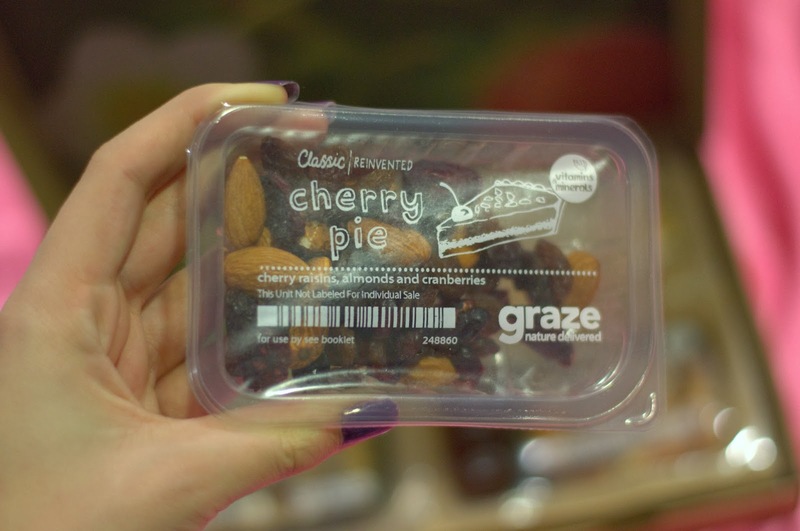 When you register for Graze, they encourage you to look through all of their snack options online and select how interested you are in trying each one. 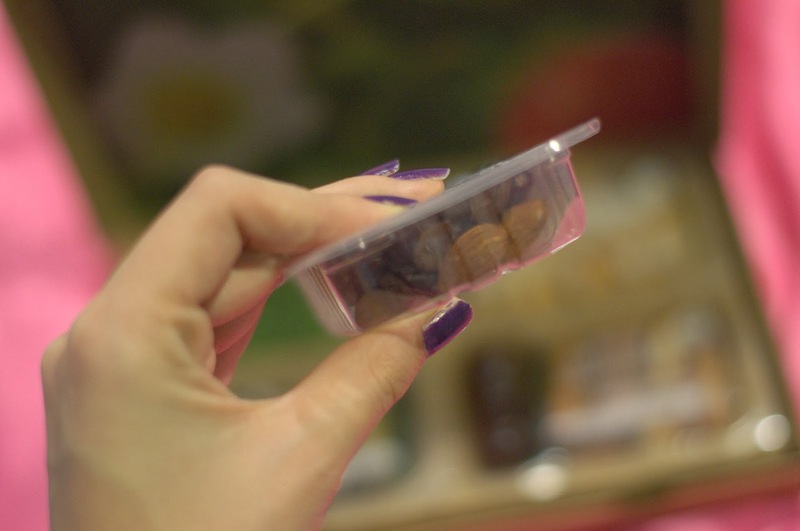 A lot of them include dried fruit or nuts but are combined with other ingredients in innovative ways. They offer a lot of options that I wanted to try but I personally chose not to receive any of the spicy things. 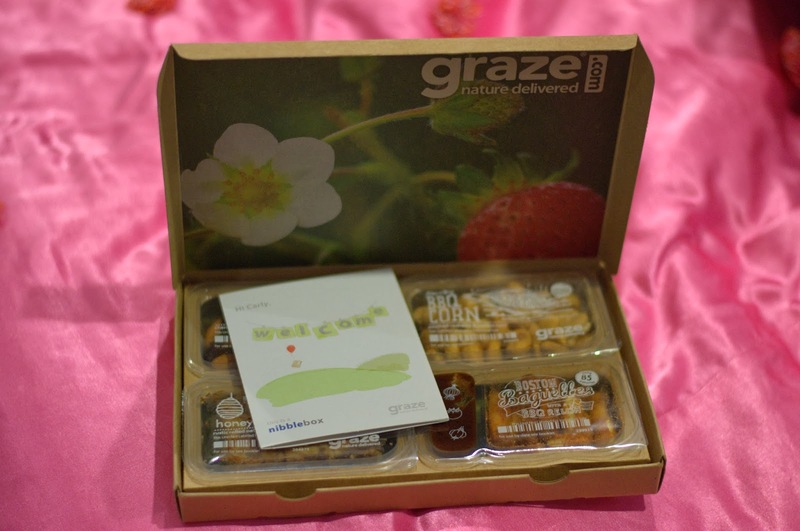 Another cool thing about Graze is that your 1st and 5th box are free! One thing I was kind of sad about was the size of the whole thing. I guess I should have expected it to be small based off the price. The FAQ actually lists the dimensions of the box as 23cm x 17cm x 2.5cm but I hadn't seen that before ordering it. I'm personally not one of those people who is super conscious about food quantities so I usually eat more than what was available to me with these snacks. 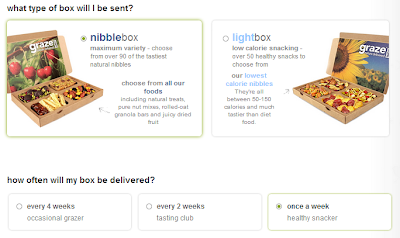 So another thing I am kind of sad about is that you can't order any of the things you like in a larger quantity. All the snacks were really yummy though. The thing they call a "flapjack" was kind of similar to a granola bar but way less dry. I don't know how else to describe it but I'm not a huge fan of granola bars and I thought this was pretty good. If you would like to try out Graze, I have 4 invitation codes! Comment below with your email address and I will send one to you.